Do you want a perfect adjustable rifle stock for hunting, and at the same a more classic look? Then GRS Hunter is the stock you need. It weighs only 1450 grams, which make it easy to carry around when you're out hunting. It has an ergonomic design and our well-known SpeedLock system for adjusting the cheek piece and recoil pad. Like all our rifle stocks, the grip has an angle of six degrees. This allows the hand to rest in a natural position. GRS Hunter is perfect for you who wants a more classic look on your ergonomic hunting rifle stock. This video explains the benefits and features of the GRS riflestocks. GRS Riflestocks - Inside look of the GRS laminate production. The best components available - our knowledge and the users feedback is the base for all GRS products. Matt is our Ambassador for South Africa, you need to check out his Youtube channel to see all his hunting and shooting videos! 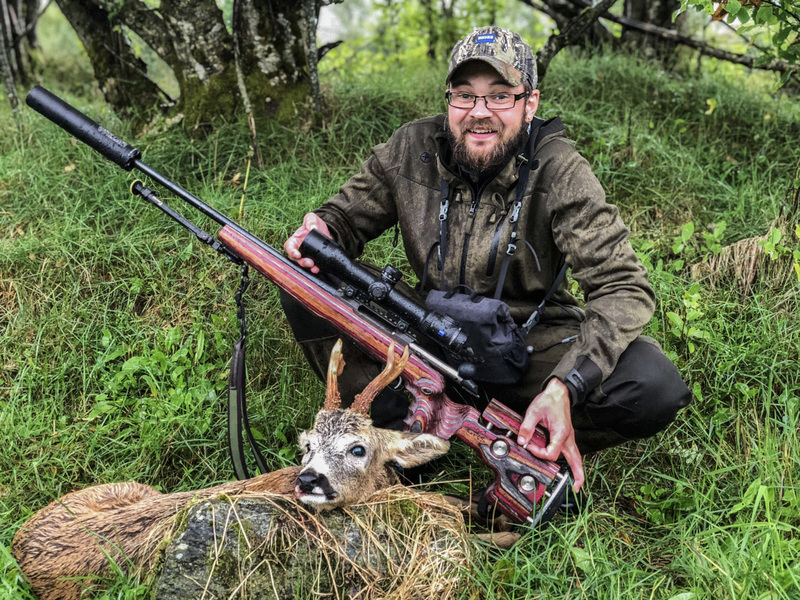 We have worked with Joakim since 2015, he is a active hunter and his passion is Roebuck hunting in Scotland. The warranty period applies for two (2) years from the date of purchase of the product. To obtain warranty service, the original proof of purchase will be required. Within this warranty period GRS Riflestocks AS agrees to correct any defect in the product for the original purchaser by repair, adjustment or replacement with the same or equal quality components. The warranty covers defects in materials and workmanship. There will be exclusions to the warranty where a defect is caused by misuse, maintenance neglect, tampering, or unauthorised repair of the product. To obtain service under the warranty, please contact your place of purchase. Here is a collection of our most frequently asked questions. Download our catalogue or complete inlet list.